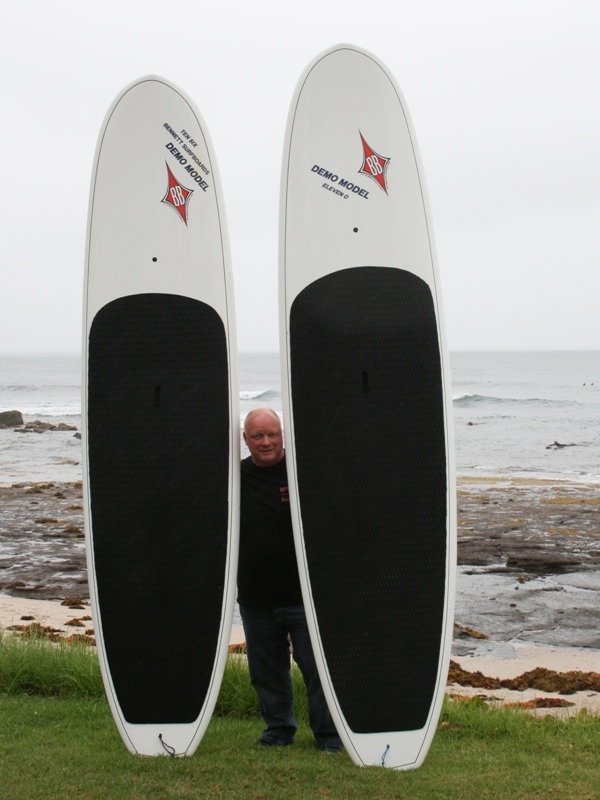 Greg Bennett, Factory Manager of Bennett Surfboards Pty Ltd traveled down from Brookvale to spend 2 days testing two new designed “Stand Up” surf boards at Mollymooks famous “Golfie Reef” break. The huge swells on the Wednesday had all but disappeared come Thursday leaving 3 hours of testing in a subdued surf. Friday the swell increased a little to provide a useful 4 hours testing the handling of each board, one 10′ 6″ and the other 11′.